Just when we thought 2017 was going to go down in Raymond Tooth racing history as a total disaster, four days in mid-December illustrated just how quickly fortunes and therefore spirits can change, writes Tony Stafford. Two first-time starters from the Hughie Morrison stable saw to that. Highlights had been few and far between with only the recently-sold Stanhope’s win on the July Course at Newmarket brightening a season when a handful of late-developing home-bred two-year-olds never offered much encouragement for early success. Sod’s Law, you might suggest? Well last Wednesday at Kempton Park, the gelded two-year-old of that name carried so little stable confidence that the trainer’s considered advice was: “Tell Raymond not to watch!” The market offered similar pessimism, Sod’s Law going off at 50-1. After breaking adequately from his unfavourably-wide 12 of 14 draw, Sod’s Law moved up well in the first couple of furlongs of the mile test – “He’s never shown speed like that!”, said Hughie at that stage - and turned for home in seventh. P J McDonald switched him from the outside to nearer the far rail and in the last furlong, Dutch Law’s half-brother showed more than a hint of his sibling’s acceleration, getting within a short head of previous winner Rusper and Dougie Costello. Three years and three months earlier, Dutch Law had been a promising eighth over seven furlongs of the same track but Sod’s Law was relatively less forward because Morrison had prescribed gelding him in the summer to ease the potential pressure on the limbs of a big colt. Hence he’d been back to Kinsale stud for the operation and recuperation and even a few weeks ago it appeared that he would struggle to get on the track in 2017. Expectations were, as indicated above, modest in the extreme, but his performance was full of promise, and further indication of the merit of his dam, Lawyer’s Choice, whose 2017 colt foal by Garswood sold for 42,000gns at Tattersalls only a fortnight earlier. If we thought Sod’s Law was a decent size, the next instalment at Hereford on Saturday involved another gelding, the year-older Apres Le Deluge, a neatly-named French-bred son of Stormy River which had the hallmark of Raymond’s former French trainer Nicolas Clement all over him. Stormy River has become a capable dual-purpose stallion in France where he won the Group 1 Prix Jean Prat, one of Clement’s favourite targets. Apres Le Deluge’s dam was Ms Cordelia, acquired on Ray’s behalf after I asked Nicolas whether he had “anything that might make a jumper?” He suggested this US-bred dual winner from five starts including on debut at Chantilly in early May of her three-year-old season six years ago. Transferred to David Pipe, she looked likely to prove that opinion right when even money for her jumps debut at Catterick the following March, but finished runner-up. Then, after a serious blunder two from home at Fontwell on her only subsequent start, she faded into fifth and was sent back to France to be mated. The acquisition of the daughter of Anabaa came at the end of the 2011 season in which Clement had guided Ray’s colt French Fifteen to five wins, culminating in last-to-first victory in the one-mile Group 1 Criterium International at Saint-Cloud. French Fifteen was sold soon after and the following spring finished a neck second to Camelot in the 2,000 Guineas. A couple of injuries later in his career preceded his entering stud in 2013. After foaling Apres Le Deluge in France, Ms Cordelia was mated with French Fifteen in his first season before coming across to Shropshire. Her third and what was to prove final foal was a daughter by Pour Moi, the Derby-winning stallion chosen because as a son of Montjeu he would provide a similar cross to that which produced Treve, who is by fellow Montjeu son and Derby winner Motivator and also out of an Anabaa mare. Struggles with her feet always plagued Ms Cordelia at stud, and only strenuous efforts by Rachael Kempster and her staff enabled her to survive long enough to produce her daughter, who had a tiny, but milk-rich Welsh cob foster mare to thank for staying alive. She is now a yearling and will shortly go into training with Mick Channon. When Hughie first took charge of Apres Le Deluge he described him as “a gentle giant” but reckoned it would still be worthwhile to introduce him to stable routine as a juvenile. There was never any chance of running him, and it took another stint back in Shropshire before the plan was cooked to aim at the same Exeter October bumper in which the trainer had successfully launched the careers of Cousin Khee, who won so many races for Raymond, and before that Royal Ascot winner, Cill Rialaig. Concerns about his size meant that even that target proved out of reach, so much so that when Hereford last Saturday was tentatively-mooted as his launch-pad, it was something of a surprise. Then, a few days before, came news of a hold-up causing him to miss a fair amount of work and prompted Hughie to say on Saturday morning: “I’ll be delighted if he finishes fourth, he’ll definitely need it”. Andrew Tinkler was selected as a suitable partner and so it proved as he took the strapping three-year-old around the inside all the way round, saying afterwards how athletic he was for such a big horse. Allowing the market principals to lead him until the short straight, Tinkler moved him up to challenge on the bend, and even though the run-in at Hereford is barely a furlong and a half, drove him clear. Despite Apres’ showing obvious signs of greenness, Andrew already had him back on the bridle before the line where he was almost four lengths ahead of the Twiston-Davies-owned and -trained favourite, Topofthecotswolds. Considering this was the only junior bumper of the year to be run over a full two miles, he got the trip without any fuss and despite the soft ground and eleven stone impost, his obvious superiority suggested Apres Le Deluge could have gone round again. It certainly took the jockey a while to stop him on reaching the far side. Such events proved a very happy return to the recently-reopened track for me. I calculated it was at least 35 years since I’d been there and it is nowadays a very well presented small country course. So Ray has two excellent prospects from his home-breeding operation, and has four, we think, nice yearlings to go into training in the coming days. We’ve had a pretty drastic re-structuring over the past months, but the slimmed-down team looks to be in better shape than for some time. Among the departures has been the French Fifteen gelding, named French Kiss, who ran three times in hot maiden company for Morrison in the autumn and starts 2018 with a tempting handicap mark of 60. He was recently gelded and is one of six horses earmarked for the forthcoming Wilf Storey Racing Club, which will aim to have 30 shareholders after its launch in the New Year. Wilf’s grand-daughter Siobhan Doolan, an experienced winning amateur rider on the Flat and over jumps, and now working in the horseracing insurance branch of MS Amlin, has agreed to be syndicate manager. All six horses started out with Ray either as home-breds or sales purchases and will be trained in Co. Durham, where Wilf has completed his best-ever Flat season with 11 wins. As to Apres Le Deluge, his trainer will be scouring the new 2018 Programme Book, out last week, for possible targets. One I’d like him to look at is the Listed bumper at Newbury on Feb 10, Betfair (formerly Schweppes) Hurdle day. The four-year-olds get 11lb from their elders and penalties only apply for Class 1 wins. I can just picture that dark grey beast with his enormous stride coming up the long Newbury straight. That’s a bit of a pipe-dream, I know, but at least, Raymond does now have something to dream about. And maybe 2017 was not quite a case of Sod’s Law after all! A week’s travel around the nation encompassed visits to four of its eminently-varied racecourses. Doncaster, Huntingdon, Cheltenham and Uttoxeter provide a decent example of that variety and, in my case, attending on behalf of the boss Raymond Tooth, a batch of creditable runs, one from each of his jumping strength. Cousin Khee, as you and indeed Keith Dawes will have noted last week – it always amazes me when complete strangers have managed to find these ramblings – was unplaced in the November Handicap at Doncaster. That eighth place still represented a decent effort as he ran past around a dozen or so up the straight. I bumped into Hughie Morrison at Cheltenham on Friday in the record crowd for the meeting and he reported that the old boy didn’t allow himself to have a hard race after getting narked with the initial crowding that the younger whipper-snappers involved him in during the first half of the contest. Much more to his liking was the untrammelled wide course that Oisin Murphy managed to secure for him late on. So rather than need days to recover, he was put to good use back jumping hurdles, an exercise which clearly kick-started his career in recent months, partnering a young novice on his initial steps. “Then it’ll be schooling over fences on Monday,” said Hughie, who, like owner and retinue cannot wait to see whether his jumping ability, liking for soft ground, and an above-average turn of foot make him a decent prospect as he embarks on yet another discipline after ten wins already. Tuesday and Huntingdon was the next stop for the caravan. The rains might have relented a bit but the ground was still on the soft side, so not ideal for the four-year-old Notnowsam as he made his third attempt over fences after a win and second. For much of the way, following a fast pace, he looked the likeliest winner, but was stung by the better speed and overall greater experience of Raven’s Tower, who picked him up at the last and bolted up as Sam made his one mistake at that point. Dan Skelton was happy enough as was Ben Pauling, trainer of the winner, who is getting going after a steady start following his departure from a job as joint assistant trainer to Nicky Henderson, along with Tom Symonds. In the Punjabi days, Ben was always something of a rival to Tom, who championed Punjabi, when much of the stable, including the trainer and Corky Brown were in the Binocular camp. Indeed the pictures I saw from home – in detached retina recovery mode – saw the triumph on Tom’s face while Nicky looked like he’d dropped a £50 note and picked up a tanner, until he realised he’d actually trained the winner of another Champion Hurdle! As we waited in the paddock on Friday while the officials decided whether to turn the novice handicap hurdle – Dan’s ambitious target for Adrakhan since last winter – into a glorified Flat race, which they eventually did, I moved across to Ben. I asked him whether he was going to serve it up to us again, to which he replied with a nervous laugh. No wonder. Raven’s Tower had been a well-backed 20-1 shot on the Tuesday and now he was waiting for A Hare’s Breath, off for 600-plus days but with good runs behind Irving and Josses’s Hill on his scabbard for a former trainer. On Thursday he was 25-1. Now he was down to 6’s and despite having to beat a Tony Martin-trained, Ruby Walsh-ridden special, it never looked in the race that he could be beaten and he wasn’t. We were delighted with Adrakhan’s staying on sixth, Dan still doubting he hadn’t been strong enough to get up the Cheltenham hill, but rider Harry disagreeing with his elder brother saying: “He stayed well. There’s a good one in him.” Harry was more concerned with the effect of the setting sun on this race reckoning “it was downright dangerous. All the way up the straight you couldn’t see anything, and I was standing up to try to see over the top.” What with that and the narrowing of the track at various points to go around the eliminated jumps, it was certainly a rough race and sixth of 20 represented another forward step for the inexperienced four-year-old. I travelled up on Friday with a team of friends, Steve, Kevin and Phil from Billericay, and when they realised Raymond’s April Dusk was making his seasonal return to action at Uttoxeter, they happily switched away from day two at Cheltenham as this was one of the tracks they’d never visited. The key was his jumping, combining scope with accuracy, but Warren and Gavin Sheehan have sights on bigger and better exploits over fences. “Gavin thought it would be a good idea to get him a win before going over fences, and he was actually a bit short for this – he’s a big horse. He’s had plenty of schooling over fences and will now go straight to chasing.” A time note, this apparently uncompetitive affair was run in 13 seconds faster for the two and a half miles than the later hotly-contested handicap. So from four runs, we had one win and three good performances. Already this season it’s five wins from ten appearances, with three places. This represents Ray’s numerically best jumps tally since the 1991-2 season when he had six wins, but obviously we’re nowhere near matching 2008-9 when Punjabi won that epic Champion Hurdle from Celestial Halo and Binocular. We’ll be seeing the 12-year-old Punjabi tomorrow morning at Kinsale Farm and from pictures I’ve seen of his galloping around his paddock, there’s plenty of the old zest left. Their summer spells there didn’t do much harm for Notnowsam, Adrakhan and April Dusk, and we’re hoping Dutch Law’s break will be just as beneficial when he returns to Hughie in the New Year. Ray is particularly keep to run the eye over the three home-bred yearlings – by Mount Nelson, Equiano and (in France) Stormy River – before they join their trainers later in the week, the Equiano colt bound for new trainer George Scott, who had been Lady Cecil’s assistant until her recent retirement. Then there’s Ray’s six home-bred foals and eight in-foal mares to inspect. His busy work schedule does not allow many such excursions, but this one is coming at a perfect time. Just can’t wait to get on the Chester train with Ray and Steve Gilbey in the morning. You never realise it, but when you undertake to do something on a regular basis, if you do not then stick to the programme, there is always someone who notices. My attention as I left Brian Meehan’s staff Christmas Party, relocated from the Outside Chance in Manton village but still with a full complement of Sangsters is attendance, was much more centred at that moment on his smoking companion, a shivering Rachel. When I first saw the stable’s acknowledged beauty – she it was who was featured in a Morning Line episode earlier in the year – last night, I was shocked to notice she seemed to have grown, I thought a foot and remarked thereupon! Laughing, she pointed to her footwear – six-inch heels, hence a foot altogether. Still a great judge after all these years! But Jim - for that’s who had the pleasure of sharing a conspiratorial smoke with the lovely and now really, really, tall Rachel - is a member of the Swettenham Stud workforce. How come he gets to see these self-centred ramblings? Thought it was me, the editor and well, just you. The bad thing about computers is that if you keep stuff, you can’t hide it. The good thing is that if a Jim comes along and asks: “Do you still do…?” you can call up the memory and see this is the 61st such offering, which it is. How many of them have you read, Jim? You were certainly compos mentis enough but the music was just getting going inside as the cheese board started to diminish. Christmas parties can be enjoyable for seeing old friends in slightly different surroundings. One of the cheeriest people I’ve known over many years is Colin Brown, long-time rider of Desert Orchid, and as a result eminently qualified to hoover up the brown envelopes as he talks to the habitués of the various boxes on the major racecourses. Col, as everyone knows him, was celebrating a first wedding anniversary (today) with his new wife. Save smiling at her and sitting down eating the delicious buffet at the table with her husband while she stood up – limited seating – I did not have the wherewithal to ask her name, a function of my state of life. Colin, though, contributed to that lack of attention on my part because in guessing my age, he was so far on the side of inaccuracy that I loved him all the more. I’m happy to say (for him) he has quite a few years to catch up. The main catch-up thing for me last night was to ascertain the well-being or otherwise of my boss Raymond Tooth’s stable star Great Hall. He is set to leave for Dubai’s carnival on December 28, so next Saturday, two days after the departure of Stuart, who will supervise the Meehan trio. This is completed by regular traveller Burano, and the juvenile Man Amongst Men. Brian had already given a positive report of his last gallop and all the important people in the yard endorsed it. The usual comment was: “Are you going out there? Wish I could.” Raymond seems to be suggesting we will. Our team is in a bit of a holding mode, with the two oldest members Punjabi and Fair Trade in line for runs in the coming weeks. David Pipe is looking for an easier option for Punjabi – at one of the “lost” meetings of midweek – while Fair Trade, pretty disgraced on his last two runs over jumps, is now with Alan Swinbank and has the delights of Southwell’s Fibresand in the New Year on his agenda. Swinbank is persona extremely grata with one member of the Manton establishment. The Co Durham trainer, always a man with an eye for the main chance, spotted the potential in young Olly Sangster before pretty much anyone outside Manton, and gave him a ride around Carlisle. That one won, with Olly, unseated after the winning line, hanging onto the reins with astonishing determination for a 16-year-old as his mount dragged him along the turf. “We were always told to do that at Pony Club,” he said. Every other jockey in the weighing room would probably have let go, but Olly’s obvious bravery was as much a positive as his exceptionally tidy and effective riding style. Three more rides followed for Alan and three more wins, enough to bring him at least two awards for the 2013 season. The pride it brings his father Ben and mum Lucy as well as the rest of the family is obvious and lovely to see. I hear that Olly might well be in the saddle for a Swinbank bumper prospect in the coming weeks and that’s the man who started out the great world traveller Collier Hill in a bumper a decade ago. Raymond’s 2013 Flat runners were completed at Angers racecourse in what the French call the West of France, and the filly Laughing Water put up an astonishing performance. Trained by Nicolas Clement who master-minded French Fifteen’s juvenile campaign two years ago with such skill, he brought her out in one of the last turf maidens of the year to win in spectacular style. I’ve seen a lot of races, but very few over a mile and a quarter for juveniles. The filly, coming on from a close fourth in a large-field newcomers’ race at Deauville, turned for home in sixth, but sprinted past her rivals to win going away by two lengths. A daughter of Duke of Marmalade, she looks a good prospect for a middle-distance career. I’m looking forward to seeing her next year and indeed three Dutch Art home-breds that have gone into training. We have yearlings by him with Messrs Morrison and Beckett and a two-year-old with Lady Cecil. Looking further ahead and bearing in mind the astonishing commercial success of that sire (now standing at £35,000 a pop at Cheveley Park) we await with excitement the first foal of Ray’s smart sprinter Catfish. At the recent December sales, several of Dutch Art’s foals were sold for 100,000gns plus and one went for 160,000gns. Come on Catfish, breed us a champion sprinter. Have you enjoyed the summer? After all, we (the Lions) have beaten the Aussies at rugby, their cricketers in the Ashes (without playing that well), Andy won Wimbledon, Chris Froome the Tour de France and Mo won everything, except his team’s opener at the Emirates, and the days are getting shorter. The last bit sums it up for me. Once you’ve accepted every year that we’re getting close to six months of relatively little daylight, September can be nice, and for those of us for whom horseracing of the Flat variety is a way of life, there’s still plenty to get your teeth into. The last couple of days have been hectic for me, fitting in a Saturday morning on the gallops in Wiltshire between duty at Newcastle (fast train) on Friday and car to Ripon on Saturday. Neither track can claim to be one of my favourites and with well-supported (happily not by me) losers each day, the forays north were irritating. Car radio can be fun, but as the Saturday trip included commentaries on Liverpool – last-minute penalty save meant three points- and Arsenal (two penalties conceded, possibly one incorrectly), therefore two more than Man Utd’s visitors routinely get awarded in a season, I was left content that I don’t have the facility for watching BT sport. It was a clever ploy for the telecommunications giant to marry their internet business with the Premier League coverage. Well, sorry boys, I won’t be biting. Seven or eight years ago I called BT for at least a week trying to get them to get me started on the Internet and they simply didn’t answer. Thus Sky got the gig, and it’s probably much slower, but anyway, the devil you know and all that. Needless to say, the Sky- (and therefore Liverpool/Manchester) –biased media will be after the opposition, and already viewing new pundit Michael Owen is being likened to watching paint dry. Well what a shock. He was always a little tortuous on the box, but he’s a nice bloke who likes his racing, so he’ll do for me, especially as I won’t be watching. Next weekend, I think I’m going to be in for another Newcastle (Friday night this time) – Manton (Saturday a.m.) and Yorkshire ordeal, this time switching York for Ripon. York is one of my favourites and I can’t wait for Raymond Tooth’s Great Hall to take his chance in the Melrose on the final day of York’s Ebor meeting. After his wins at Newmarket and Haydock he’s up to 98, seemingly a fair way short of St Leger consideration, but the form of especially the Haydock win, with the next three home all advertising his merit, suggests the gap might not be so great. Argent Knight, as noted here last week, had been fourth almost four lengths behind when receiving 14lb. He’s now up to 89 after a big win over older handicappers at Newmarket. I expect William Jarvis’s likeable stayer, the runner-up Debdebdeb and third home Hawk High will all take their chance again, with £46k up for grabs, there’s few options worth so much, but compared with Haydock albeit now 10lb higher Great Hall’s still pretty well in with that trio. Visiting Brian Meehan’s stable each week gives me the chance to watch his obvious (even to my less than trained eye) physical development and marvel at his beauty and apparent bombproof nature (Great Hall’s not Brian’s). He’s filled out since the spring when those who knew him best always maintained he would continue to progress from the narrow-looking individual of his early days. For years I’ve always hankered after the traditional racing dates. York was always three days, Tuesday to Thursday, before an interim addition of Friday and then a fourth day and a final Wednesday- Saturday format took away much of the lustre of Goodwood and Newmarket’s weekend fixtures. York themselves had Newmarket move into an area of their historic pre-eminence when the July meeting at HQ spread to the weekend, the July Cup encroaching into the space that the John Smith’s (formerly Magnet) Cup had made its own over half a century. You just have to grin and bear the clashes. For trainers and owners, the nightmare is to be able to get the jockey you want for your horse. I’m pretty sure Kieren Fallon will do everything he can to be there to continue his own love affair with Great Hall, forged on the gallops and secured when he rode him at Haydock. 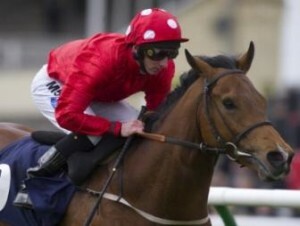 As to anything else worth noting for York, I’ll be content with a word for the unbeaten filly J Wonder in the Lowther. Impressive both on debut at Newbury and in a valuable nursery at Newmarket, Chachamaidee’s full sister is definitely on the upgrade and I expect her to beat Lucky Kristale and Sandiva on Thursday. A week that started off with a loss for my boss in a small court in Central London got better and better as it went on. The loss, trumpeted by the winner as a total vindication, looked anything but that in the face of some hasty rewriting of his court evidence at the end of the Racing Post report of the affair. I felt very satisfied that the judge’s summing up described me as a truthful witness. As I disagreed with virtually everything the other side put forward, what did it make them? Thursday mornings at Manton always put me in optimistic fettle. After a slow start, Brian Meehan has really got things going and by Wednesday night, a score that only started after a string of near misses with Sir Bedivere on April 27, had stretched to 13 with Testudo by Wednesday night at Sandown. The flurry of winners has obviously come to the attention of some serious jockeys and Thursday was a sight to behold. With my own car neglecting to have a pre-dawn petrol pump catastrophe this time, I arrived sharp at six, to be followed into the office by the unexpected sight of Tom Queally. There was only time to offer Tom a coffee before Kieren Fallon arrived, shortly to be followed by Frankie Dettori. Sam Sangster then came in with the top Australian jockey Jamie McDonald, who is spending a working sabbatical with Charlie Hills over at Lambourn before the Hamdan duo of Paul Hanagan and Saturday’s Beverley five-timer hero Dane O’Neill completed the set. With a number of owners on site too, it was pretty hectic and possibly some of the regular work riders might have been a little disappointed to be on reduced action, but the feeling of team spirit was simply fantastic. I couldn’t wait for Raymond Tooth’s two three-year-olds to get into action. Freeport, a winner on his comeback just nine weeks after a gelding operation following a naughty incident was rewarded for his improved demeanour with the services of Frankie who declared him “very nice and fit as a flea”. Brian’s looking for a race next weekend, and it was good that Consign, who finished third to him and fellow dead-heater Aussie Reigns at Windsor, went on to win Friday’s 0-75 Classified in which we would have had to concede him 6lb. He’s up only 3lb to 76 when he goes next. Second lot featured Ray’s promising horse Great Hall, and this time it was Kieren in the saddle. He’d loved him when riding him on the Rowley Mile last month, when he still needed what was only his second career start. The work went well so it was all systems go for Newmarket the next day, Brian’s choice of three entries in the week. Kieren was claimed to ride for Luca Cumani but we were lucky that Richard Hughes was free and he gave him a lovely ride to win what might prove a decent maiden. They say people don’t go racing any more but proper Fridays on the July Course still get out the real racing people. One oddity about all the relatively small group of racing regulars who’ve been around for years, decades or in the case of Tony Morris, half centuries, is that they are always pleased to see you. The faces are not always remembered by us older-timers, and the names even less so. So first I’d like to apologise to the fair-haired “lad” from the Midlands who I first met at the Ryder Cup at the Belfry and who always calls out. In his case it was before Great Hall’s race on Friday. With Raymond back at the office, I get to be the de facto “owner” and he was one of a string of “good luck” callers along with the nice guy from the Bedfordshire Racing Club and on Friday many more. I don’t know why but over the years I’ve wanted to view Raymond’s horses on my own where possible – unless he’s there, of course – and I found an anonymous spot in the stands from where I watched Great Hall and an unflurried champion jockey get home half a length to the good despite some exaggerated signs of inexperience. After the “good luck”s, it was a triumphal walk back with “well done”s raining in on all sides. The only well done I felt I’d earned was to be a fringe participant in the Meehan tally’s getting off 13. I’d done nothing, not even cheered him home. I’ve steeled myself never to make a noise as Ray’s horses approach the line. It was well done, though, to the horse, to the trainer, to the jockey, and to the staff at Manton, and to Kieren who is a true horseman. Well done above to all to Ray, who has had a total of nine wins this year, hopefully with a good few more to come. To win, he had to beat two Khalid Abdullah horses and a stable-mate owned by Hamdan Al Maktoum. It seems that Prince Khalid’s team will be getting a thorough trim – even the richest find the battle between the racing dream and ever-increasing costs a constant drain. Saturday at Newmarket – no managerial responsibilities this time, just a gentle wander – and a walk across to the Animal Health Trust marquee for a late scrounged lunch thanks to my pal George Hill who was dining with wife Liz (not partner George, for God’s sake) on the top table with host Anthony Bevan. Here was another group of never-forgotten faces, among them Christine St George who would be high on the list of BHA inspectors searching for non-permitted substances such is her unchanging beauty. Johnny Holmes was there, backing winners and hoping for the best for the return of Great Leighs, and Sam Sheppard of the EBF, one of a dozen wanting to hear about that case last Monday. I said my piece and vowed thereafter not to speak or think any more on that trifling affair. Twice in a couple of days, I felt that I had participated – vicariously at any rate – in two victories, which in fact were anything but. First there was that Arsenal comeback against Liverpool which could even have been a win, and then Cousin Khee’s snatching of defeat from the jaws of victory at Lingfield. I will restrain from further irritation of the audience in the former matter, restricting myself to delight at the Deadline Day acquisition of Nacho Monreal – what sort of name is that? – one which looks shrewd enough. Cousin Khee’s loss – George Baker admitted he didn’t have time to ask our re-branding Flat-racer to engage the Jimmy Quinn winner whose mount got up right on the line – should not be too long in avenging. Wednesday next week, up three furlongs and four-year-olds and upwards, looks a suitable compensation chance for him. Somehow, Raymond Tooth’s team of three (plus one, Nelson’s Bay yet to run) jumpers is offering great enjoyment. The Cousin has two jumper bumper wins, that ten-furlong second and an Aintree hurdling third to show from five runs. He will be left in the Betfair, but most of the other contenders’ trainers will need to have suffered from acute memory loss to enable him to run. The Betfair, though, is on our radar with the 2008 runner-up and subsequent Champion Hurdler Punjabi, who is now ten and in the midst of a belated comeback. He ran quite well at Kempton on his return after 32 months off, but it seems according to a Nicky quote in Sunday’s Racing Post, he will almost certainly not be ridden by the great B Geraghty, who will be on one of the other four definite starters for the stable. 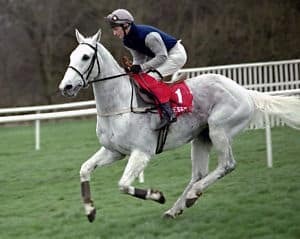 Still Mick Fitzgerald passed him over in the same race five years ago, when he was second, and again when third in the Champion – Afsoun his preference – and that’s when the Geraghty link started, to be cemented with Mick’s Grand National injury later that year. If Punjabi did confound stable opinion, as he did almost embarrassingly for the trainer over Binocular in 2009 at Cheltenham, when Nicky looked like he lost a tenner and found a tanner as he “welcomed” in his new champion, then it could be off to that race again. Hope so. Earlier the same day our final member of a select trio, Fair Trade could well be in the Supreme Novice Hurdle line-up, should he come safely and successfully through his prep in the Dovecote Hurdle on Feb 23. He has returned to cantering after that smart win at Kempton over Pearl Swan in the jumpers’ bumper and starts to look a bit like the horse David Elsworth once thought he was going to be. I’m off to Doncaster in the morning for that extra card. I love jumping there. It’s a true test and we have a meaningful Champion Hurdle eliminator. Then it’s quiet for me until the weekend. Over the past few years, the appeal of Transfer deadline day has become vastly diluted and if it hadn’t been for two jokers, this year’s would have been the tamest ever. Gone were the groups of fans outside training grounds – except Stoke funnily enough where the Bet 365 money gets spent sparingly, this time on a goalie, Jack Butland, who won’t be playing for them until Begovic goes to Man U next season. The jokers of course were Mario Balotelli, happily off to Milan, where the indoor fireworks are much safer, and Peter Odemwingie, who now knows QPR’s car park like the back of his hand. I’m amazed that the other unchanging image of the ritual, ‘Arry, let him slip through his fingers. Redknapp talked in the lead-up days of “Crachie – he always seems to end up playing for me” and even David Bentley, but it seems that always-worthy member of Spurs “come in for an hour and collect your money” brigade would not accept the role of janitor, even at 20 grand a week. Still it was nice that ‘Arry did manage to secure one of his men. It took great imagination to settle for a muscle-bound, Russia-based former Blackburn centre-half at just £95,000 per week and £12.5 million as the focus of his relegation fight. Some, actually a good deal more than some, even said it’s a fair gamble if they stay in the Premier League, which they might. It’s a fair gamble if it ain’t your money! ‘Arry’s version after an effort-laden debut was “Chris <Samba>says he’s 40% fit. Imagine what he’ll do when he’s 100% fit”. I expect by the time he is, he’ll be in some far-off holiday location converting the pounds back to roubles with a re-sale to Russia being negotiated as Tony Fernandez flies off into the sunset. I think it was the Guardian which had the best view on ‘Arry, with specific reference to the plight of another of his monopoly-money enterprises at Portsmouth, where players came in and out faster than the figures on a Swiss cuckoo clock. Portsmouth’s embarrassing fall is so marked that as I watched the scores scrolling through at Sandown on Saturday afternoon, a young chap next to me said to his mates, “Look at Portsmouth”, ha ha ha, “3-1 down at home after 20 minutes”. Now that is a great club with the most amazingly loyal fans, but after the ‘Arry treatment, which did, I acknowledge, include the Holy Grail of an FA Cup win, the descent has been horrific. “Silverware”, the fans crave and as former Crystal Palace owner Simon Jordan said, “they virtually compel you to spend YOUR money for their ambitions.” Even Chelsea, still technically European champions despite their own deficiencies this season, have via Abramovic’s snatched wealth, fallen for the “honours at any cost” trap, and no doubt bumbling Benitez will be out the door faster than Usain Bolt. Prediction, QPR will go down and after a year with parachute payments, will go down again. ‘Arry – and of course Joe, Bondie and the rest of the people it takes to get him from Sandbanks to Shepherds Bush every day - will be off with contracts fully paid up and after a break of say ten days, he’ll be back in the loving arms of those Sky Sports people who’ve indulged him over so many years. Last Sunday, I referred to an incident involving a phone and a very insignificant step out of Claridges hotel in London which was enough to unseat your correspondent. The immediate after-effect was nil save the embarrassment of being picked up by three people, but 11 days on both my knees have little painful spots, telling me what a knee or hip replacement – get better soon Brenda Storey! – would be like. Apart from diabetes which I deal with without really doing anything, I’ve been ridiculously lucky health-wise but the trip-up which followed a nice reception hosted by Prince Ahmed bin Salman, younger brother to late Princes Fahd and Ahmed – my long-term friend and principal of the much-missed Thoroughbred Corporation – gave me a chance to meet some former colleagues on Asharq Al Awsat – the “green paper” – to which I contributed for more than ten years. Prince Faisal came over for a chat – rather nice of him as that week he’d been appointed Governor of Medinah, the second-holiest city in Saudi Arabia after Mecca, and no Ladbrokes jokes please! – and also a Minister in the government. With his father the country’s Crown Prince and an Oxford education and a professorship in politics at Riyadh’s top university, his rise through the princely ranks in his country was hardly unexpected, but he remains a dignified gentleman whose Denford stud continues the family’s love and association with racing and breeding. My own selfish glee with Cousin Khee’s two nice wins – he now reverts to Lingfield for a proper Flat maiden over 10 furlongs on Friday – were infinitely increased with Friday’s fabulous win for my boss Raymond Tooth’s Fair Trade, who almost three years after his only previous win, cut down the smart Champion Hurdle possible Pearl Swan with an awesome turn of speed. His problem, once a big six-figure Hong Kong bid was rejected in the summer of 2010, was injury coupled with the refusal to settle. Now he does, thanks first to Graham Lee’s partnering of him twice last summer, the initial show jumping schooling when still with Hughie Morrison and the continuation of the process at Alan King’s. He’s always looked the part. Two jump runs do not tell the true story. Apparently Richard Hoiles was saying on Racing UK that if you put some hurdles in front of him, you’d see a different (therefore vastly inferior) horse, but the jumping is as assured as a veteran’s. He only went back for the bumper, ideally framed for a horse with two jump runs and no win in Class 1 or 2 because he’d hated the mud in his two jumps starts. Might have been framed for a horse once 110 rated, but I can’t see how they let the fourth home Clerk’s Choice run as he’d won a Class 2 hurdle at the end of a four-win sequence earlier in his career. That’s it for the jumpers bumpers I’m afraid, but in winning three, Raymond picked up more than 11 grand, while the two horses have got the winning habit. All pluses and Fair Trade will run in the Dovecote at Kempton next month in anticipation of a tilt at the Supreme Novices. I make no apology for throwing in a little bit of football minutiae. Probably everyone else who reads these words will be saying, not Arsenal again, but having listened to and read the garbage coming from radio, television and the press, as well as what apparently is even more ridiculous on the fora (plural of forum), I have to speak up for a certain Alsatian football manager. Arsene Wenger gets so much flak, probably because he always answers his questioners, and this season it’s been eight-lean-years open house with no trophy obviously in the offing. But the job of a manager, as I see it, is to build teams which get a fair degree of success, play attractively and at the same time keep the finances in order. For example, I wonder what free-spending Tony Fernandez was thinking of the great ‘Arry’ last night after his team went 4-0 down (losing 4-2) to M K Dons? Redknapp simply said afterwards: “That’s why I’ve been flying around Europe all week. These players are not good enough”. Wenger bought three new players in the summer. Cazorla has been (that dive apart) largely unblemished and rightly praised for his skill and commitment, but after two games Olivier Giroud was being laughed at and soon after Lukas Podolski generally pilloried. All three were new to English football. Three-fifths through the season, all three have scored plenty, made loads of assists – Podolski’s nine in the Premier League is the highest! – and altogether they have scored 32 times. As they said; “How will they replace van Persie’s goals? So far he has 22. He has simply been grafted on to what has been described as the best team of strikers in football. Rooney, Hernandez and Welbeck are all top-flight players fully versed in the Premier League and the bewilderingly-slick Manchester United set-up. So well are they doing that United are clear top of the League, qualified easily for the closing stages of Europe and went smoothly through to the fifth round of the FA Cup with a 4-1 demolition of Fulham. Fulham were so toothless, it made one think it was lucky that it was QPR rather than they who were meeting MK Dons, or even Luton, conquerors of Norwich. Fulham was United’s 34th match of a season in which they have won 25, drawn only three and lost six times. They have scored 79 goals with 47 against. Hernandez’s double on Saturday brought his score to 14 for the season from 15 starts and nine sub appearances. Van Persie’s 22 have come in 23 plus five; Rooney’s 19 plus three have brought ten goals. Poor old Welbeck, a first choice for England, has just one goal to show for 15 plus 10. No-one else has more than four. While that has been going on, Arsenal have been described as having their worst ever season under Wenger. Saturday’s thriller of an away win at Brighton – away again in the Cup after drawing Swansea first up – was their 17th win in 35 matches, with ten draws and eight defeats testimony to their oft-expressed defensive frailties. So how have they compared with United? They’ve scored 76, so before Saturday’s night match they were one ahead of United, and have conceded 46, one fewer than the irresistible champions. They remain in the FA Cup and unlike Chelsea and Manchester City, the Champions League. Now that Jack Wilshere is fit, they seem poised to pick up the pace for fourth or even third place. As to life without van Persie, Theo Walcott (17 from 17 starts and 10 sub appearances), Giroud, Podolski and Cazorla have 49 goals between them, two more than the total of the United famous four. As for the laughed-at Giroud, in the last two games he has scored four van Persie-like goals, showing similar poise and left-footed subtlety. Who should be laughing now? If only the Arsenal fans knew. Barely half a season in, 32 goals and more than 20 assists and Arsene’s still everyone’s whipping boy. Not mine! For those of you who don’t know who I used to be, I was variously the racing editor, chief tipster and correspondent for the Daily Telegraph for 30 years after rather shorter spells at the Walthamstow Guardian, Greyhound Express (chief reporter age 21) and the Press Association. During the Telegraph days I also edited the weekly and much-respected Racehorse newspaper, produced by Raceform – entailing an eight and a half day week! – before trying to advise the odd trainer like Michael Dickinson, Jim Bolger and Rod Simpson among others. Later, with the Telegraph’s kind co-operation, came some globe-trotting work for the Thoroughbred Corporation and wins in the Derby with Oath; Juddmonte with Royal Anthem; Kentucky Derby and Preakness with War Emblem; Preakness and Belmont Stakes with Point Given and loads of Breeders’ Cups and European Group 1’s. Now, I’m a semi-geriatric has-been, helping lawyer Raymond Tooth with his empire and it was in the guise of his Racing Manager that I was at York on Saturday to witness once highly-promising Fair Trade’s latest disappointment in the John Smith’s Cup. Straddling the Telegraph – TCorp days, I owned quite a lot of horses, some winning nice races in a rather striking livery, a picture of which proudly sits in my living room aboard my first ever winner Charlie Kilgour and a remarkably young Simon Whitworth. The race date is June 13, 1984, the course, my luckiest-ever Beverley. In those days as racing editor I rarely got out of the office and racing was only televised on BBC and ITV, so we never saw the race, but just listened as Charlie won on what I’m sure was his first race for me. The colours look pristine enough, and Whitworth, who I saw at Royal Ascot the other day looking maybe two years older than in the picture, gave him a brilliant ride for a 7lb claimer as he was then. His father Eric, a Blackburn-based lawyer, who I was delighted to hear remains in great heart as is Simon’s amateur dramatics-loving mum, asked me to find Simon a job after he had broken his leg when initially working for Michael Stoute. Simon went to Rod Simpson, as later did Dean Gallagher after his father Tom, then travelling head lad with Jim Bolger, also availed himself of my employment agency talents. It was Rod who found Charlie Kilgour, owned then by Alan Spence, then fledgling freight forwarding and travel agent, later brilliant entrepreneur who sold his business for bundles. The buyers soon realised nobody was better qualified than Alan to run it, so he did and continued to get the 75 per cent off first class fares to York as his right. I got Charlie Kilgour for £1,000, had a nice bet, took some prize money, probably more than you’d get for winning a seller 28 years later, and Rod let him go at the auction. A nice day’s work. Alan – now a very major owner and also a vice-president of Chelsea FC - might have been at York for the John Smith’s meeting on Saturday, but if he was I didn’t see him, and if he had availed himself of his cheap-travel perk it would have been no bargain as his Hurricane Higgins was withdrawn after being unruly in the stalls before the Silver Cup. Am I wrong, or do the authorities seem to take pride in finding even more reasons for eliminating horses once they get to the gate these days? Mayson silks: they used to be mine! Anyway, while I was away with the Yorkies on Saturday, my old colours, as they often have been these past two years, were being worn by Paul Hanagan, in the July Cup on Mayson, and came home five lengths clear. When I parted with them during one of my many impecunious periods – which naturally coincided with having no horses or even the prospect of one – it was through the medium of the Weatherbys sale of Cherished colours. No, all red, white spots on cap might seem OK and £22,000 for the privilege more so, but Weatherbys took a chunk, as did the sales company and a very nice former client of my tipping service with Centaur – whatever happened to them? – put in a claim for another lump of money I’d borrowed from him, so I ended with less than £10k! To call him unsporting was an under-statement, especially as over much of the previous year, he’d called every morning and made me go minutely through the days’ action, even though he’d curtailed his subscription without bothering to tell me. We (me and a mate) did get a day at Wimbledon’s Centre Court, but what with watching him creep up to Sir Cliff and Virginia Wade and make eyes at the attractive young waitresses, it was all a bit of an ordeal. The great thing about the colours is that they were bought by proper owners, David and Emma Armstrong. They will be fed up by now that every time they have a winner, this old geezer comes along as if he had something to do with it. Luckily on Saturday I was 170 miles away and Emma could enjoy her first home-bred Group 1 win. I digress, often it seems. The benefit of being a racing manager is that unlike a pressman, you can go home right after the race, and with my trusty mate and driver Roger on the case, we made it back to Newmarket – that’s where he leaves his Yarmouth-bound car for our morning reconnoitre - just as they were turning out of the July Course. Refuelling next to the White Horse, who did we see but Noel Quinlan, who trains one of Mr Tooth’s less co-operative steeds? We were prevailed upon to join in with a quick drink, and as it turned out an equal share in a monster and delicious burger, cooked on a barbecue outside the pub. By this time (6 p.m.) the sun was out, as were most of Noel’s owners and staff, all delighted at Our Gal’s fortuitous Newbury win if sorry that it brought a 24-day ban for post-mistaking Lee Newman. Noel, already buoyed by the performance of his stable star Lewisham’s second in the July Stakes on Thursday, was philosophical. “We were lucky today but unlucky when it mattered so much on Thursday. Lewisham should have won. Then the bids would have been flying in for a Group 2 winner.” Nil desperandum, Noel, by all, accounts they’re coming in any case.